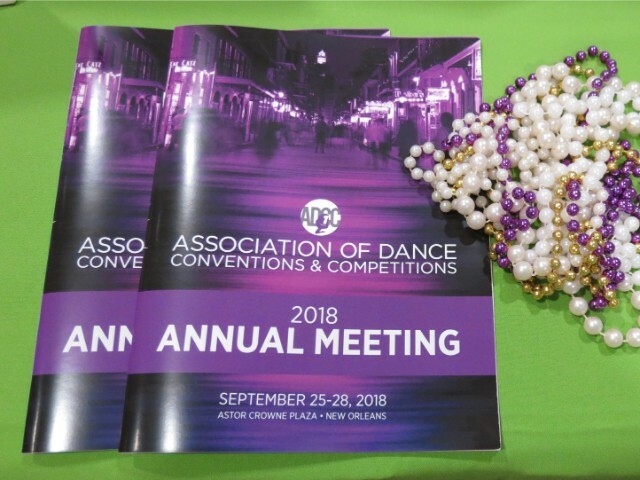 The ADCC held the fourth Annual Meeting of the Membership at the Astor Crowne Plaza in New Orleans on September 25-28, 2018. The organization is growing (now 35 competition and convention members) and making an impact on the dance competition industry. Thanks again to all our wonderful sponsors, and congratulations to all for a fascinating, fun, and productive meeting! Members learned more about how to take advantage of ADCC Programs including Studio of Excellence Awards, Industry Excellence Awards, Scholarships, and The ADCC magazine, The Competitive Advantage. ADCC Members also gained insights on Social Media, Merchandising, Human Resources, and Leadership from presenters and workshop leaders, and discussed common issues and best practices at moderated roundtables. Attendees also learned about programs and services offered by Vendor Affiliates and Annual Meeting Sponsors DanceComp Genie, DRC Video Productions, TourPro Software, Custom Built Awards, Dance Dreams Powered by Gerber Tours, ConferenceDirect, LBW Insurance and Financial Services, DanceCompetitionHub, HelmsBriscoe, Platinum HR and Media Sponsor Inside Dance. "What was the best thing about the 2018 Annual Meeting? New colleagues loving exactly what I love—and understanding everything." "Best sessions: Merchandise, staff expenses, financials, and leadership ideas." "Classes (with Todd Anderson, Tonya Young, and Zoe Hughes) were fantastic and so helpful. The time with Vendors was invaluable, and the interaction with fellow industry leaders was awesome." Former ADCC President and retiring Board Member Daniel DeFranco of Groove Dance Competition & Convention accepting special recognition from colleagues for his service. The ADCC recognized the late William E Fowler, Jr., internationally renowned judge and dance teacher extraordinaire, with its fourth annual Lifetime Achievement Award, and celebrated the impressive accomplishments of twelve Industry Excellence Award recipients (read more about them here). 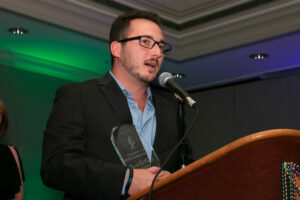 The ADCC Membership also thanked former President and retiring board member Daniel DeFranco of Groove, recognizing his many years of service to the organization. 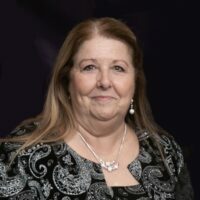 The ADCC’s current slate of officers will continue in their roles for the 2019-2020 term: Ginny Faubell of Beyond The Stars, President; Sean Flanagan of United States Tournament of Dance, Vice President; Sandra Walsh of Elite Dance Challenge, Treasurer; and Gina Urso-Dudash of EnerGy National Dance Competitions, Secretary. 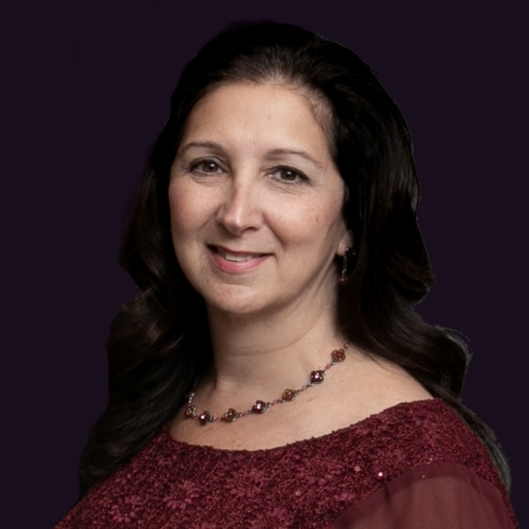 Continuing Board members in January 2019 include Melissa Burns of Turn It Up Dance Challenge, Jennifer Rosenburg of Precision Arts Challenge, David Sanders of Legacy Dance Championships, Will Shover of Dance Machine ANDC, and Melissa R. Tessier of Sophisticated Productions Dance Competitions. Kayla Scurlock of Elite Dance Cup and Shari Tomasiello of Headliners Dance Competitions will also join the Board as new at-large members. Annual Meeting & Industry Awards Gala photos by Kathy Anderson Photography, and Erin Hart and Paula Wright, The ADCC.